Morihei Ueshiba is remembered by his students as a master of the martial arts whose studies transcended technical matters to include a moral and philosophical view of the world based around harmony in the face of aggression. The many branches of aikido in existence today virtually all trace their lineage back to Morihei Ueshiba. Morihei Ueshiba was born on December 14, 1883 in Tanabe, Wakayama Prefecture, Japan and he died at 96 years old on April 26, 1969 at 96 years old. He was a famous martial artist and founder of the Japanese martial art of aikido. He is often referred to as Kaiso, meaning “founder”, or Ōsensei, “Great Teacher”. Morihei Ueshiba was the only son of Yoroku and Yuki Ueshiba’s five children. He was raised in a somewhat privileged setting. His politically active father was a wealthy landowner who also traded in lumber and fishing. As a child Morihei was weak and sickly and his inclination was to read books rather than to be physically active. At a young age his father encouraged him to take up sumo wrestling and swimming and entertained him with stories of his great-grandfather Kichiemon, believed to be a very strong samurai in his era. Morihei’s father understood the need to make him strong and this became even more evident when the young Ueshiba witnessed his father being attacked by followers of a competing politician. In his youth, Ueshiba is known to have studied several martial arts but he did not train extensively in any and even his training in Yagyū Shingan-ryū was sporadic due to his military serviceduring those years. Records show that he trained in Tenjin Shin’yō-ryū jujutsu under Tozawa Tokusaburō for a short period in 1901 in Tokyo; Gotō-ha Yagyū Shingan-ryū under Nakai Masakatsu from 1903 to 1908 in Sakai, and judo under Kiyoichi Takagi 1911 in Tanabe. However, it was’t until he and his wife moved to the northern island of Hokkaidō in 1912, as part of a settlement effort, that his martial art training began to take on real depth. In Hokkaido he began his study of Daitō-ryū aiki-jūjutsu under Takeda Sokaku, who was then reviving the art. First I learned Tenjin Shin’yō-ryū Jujutsu from Tokusaburo Tozawa Sensei, then Kito-ryu, Yagyu-ryu, Aioi-ryu, Shinkage-ryu, all of them jujutsu forms. However, I thought there might be a true form of budo elsewhere. I tried Hozoin-ryu sojitsu and kendo. But all of these arts are concerned with one-to-one combat forms and they could not satisfy me. So I visited many parts of the country seeking the Way and training, but all in vain. … I went to many places seeking the true budo. Then, when I was about 30 years old, I settled in Hokkaido. On one occasion, while staying at Hisada Inn in Engaru, Kitami Province, I met a certain Sokaku Takeda Sensei of the Aizu clan. 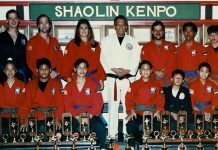 He taught Daito-ryu jujutsu. During the 30 days in which I learned from him I felt something like an inspiration. 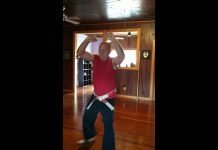 Later, I invited this teacher to my home and together with 15 or 16 of my employees became a student seeking the essence of budo. Did you discover aikido while you were learning Daito-ryu under Sokaku Takeda? No. 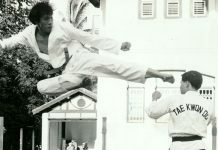 It would be more accurate to say that Takeda Sensei opened my eyes to budo. Takeda Sokaku undoubtedly greatly influenced the technical curriculum of aikido and his system of aiki-jūjutsu called Daitō-ryū. Although disputed by some, the ledger books of Takeda clearly show that Ueshiba spent a great deal of time training in Daitō-ryū between 1915 and 1937. He received the majority of the important scrolls awarded by Takeda at this time including the Hiden Mokuroko, the Hiden Ogi and the Goshin’yo te. Ueshiba received his kyoju dairi certificate, or teaching license, for the system from Takeda in 1922. At this time, Takeda had not yet implemented a menkyo license, or highest level of achievement license, into his system. He also received a Kashima Shinden Jikishinkage-ryū sword transmission scroll from Takeda in 1922 in Ayabe. Ueshiba then became a representative of Daitō-ryū, toured with Takeda as a teaching assistant, and taught the system to others under the Daitō-ryū name. 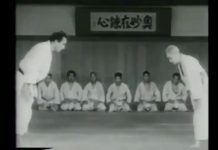 The basic techniques of aikido seem to have their basis in teachings from various points in the Daitō-ryū curriculum. A source of confusion is the different names used for these techniques in aikido and in the Daitō-ryū system. This is do in part to the fact that Takeda Tokimune added much of the terminology when Ueshiba was no longer studying with him. In addition the names ikkajo, nikkajo, sankajo used in both Daitō-ryū and the early years of aikido, latter supplanted by terms such as ikkyo, nikkyo, sankyo, were really generic names translating to “first teaching”, “second teaching”, and so on. In Daitō-ryū these names usually refer to groupings of techniques while in aikido they usually refer to specific techniques and joint manipulations. In the earlier years of his teaching, from the 1920s to the mid 1930s, Ueshiba taught the aiki-jūjutsu system he learned and licensed in from Takeda Sokaku. His early students’ documents bear the term aiki-jūjutsu. Ueshiba trained Takuma Hisa, one of the future highest grade earners in Daitō-ryū, in the art before Takeda took over Hisa’s training. The early form of training under Ueshiba was characterized by the a substantial use of strikes to vital points (atemi), a larger total curriculum, a greater use of weapons, and a more linear approach to technique than would be found in later forms of aikido. These methods are preserved in the teachings of his early students Kenji Tomiki (who founded the Shodokan Aikido or Tomiki-ryū), Noriaki Inoue (who founded Shin’ei Taido), Minoru Mochizuki (who founded Yoseikan Budo), Gozo Shioda (who founded Yoshinkan Aikido) and Morihiro Saito (who preserved his early form of aikido under the Aikikai umbrella sometimes referred to as Iwama-ryū). Many of these styles are considered “pre-war styles”, although some of the teachers continued to have contact and influence from Ueshiba in the years after the Second World War. As Ueshiba seemed to slowly grow away from Takeda, he began to implement more changes into the art. These changes are reflected in the fact that he began to use different names when he referred to his art. First he called it aiki-jūjutsu, then Ueshiba-ryū, Asahi-ryū, aiki budō, and finally aikido. As Morihei Ueshiba grew older, he was more skilled, and much more spiritual in his outlook and his art changed to reflect this, becoming softer and more circular. Striking techniques became less important and his formal curriculum became simpler. 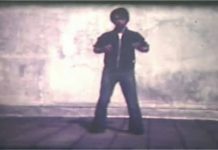 In his own expression of the art there was a greater emphasis on utilizing the opponent’s movement in order to throw them what is referred to as kokyū-nage, or “breath throws” which are soft and blending. Many of these techniques are rooted in the aiki-no-jutsu portions of the Daitō-ryū curriculum rather than the more direct jujutsu style joint-locking techniques. After Morihei Ueshiba left Hokkaidō and went Ayabe, he came under the influence of Onisaburo Deguchi, the spiritual leader of the Ōmoto-kyō religion in Ayabe. This not only affected his spiritual growth, but this connection was to have a major effect in introducing Ueshiba to various elite political circles as a martial artist. The Ueshiba Dojo in Ayabe was used to train members of the Ōmoto-kyō sect. He was involved in the first Ōmoto-kyō Incident, an ill-fated attempt to found a utopian colony in Mongolia. 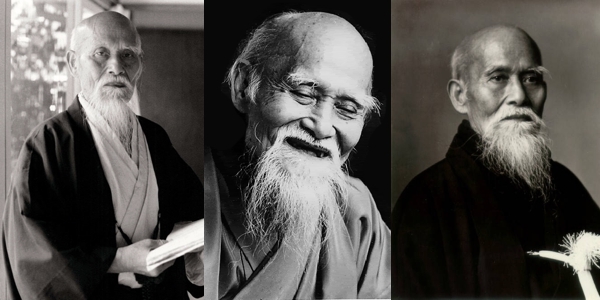 Although Ueshiba eventually distanced himself from both these teachers, their effect on him and his art was profound. To this day, Ōmoto-kyō priests oversee a ceremony in Ueshiba’s honor every April 29th at the Aiki Shrine in Iwama.
. . . I felt the universe suddenly quake, and that a golden spirit sprang up from the ground, veiled my body, and changed my body into a golden one. At the same time my body became light. I was able to understand the whispering of the birds, and was clearly aware of the mind of God, the creator of the universe. At that moment I was enlightened: the source of budo is God’s love – the spirit of loving protection for all beings… Budo is not the felling of an opponent by force; nor is it a tool to lead the world to destruction with arms. True Budo is to accept the spirit of the universe, keep the peace of the world, correctly produce, protect and cultivate all beings in nature. His third experience was in 1942 during the worst fighting of WWII, Ueshiba had a vision of the “Great Spirit of Peace”. Morihei Ueshiba moved to Tokyo in 1927 and started his first dojo, which still exists today under the name Aikikai Hombu Dojo. Between 1940 and 1942 he made several visits to Manchukuo (Japanese occupied Manchuria) to instruct others in his martial art. In 1942 he left Tokyo and moved to Iwama in the Ibaraki Prefecture and this is where he began using the term “aikido” as a name for his art. Here he founded the Aiki Shuren Dojo, also known as the Iwama dojo. During all this time he traveled extensively in Japan, particularly in the Kansai region teaching his aikido. Morihei Ueshiba died on April 26, 1969 from liver cancer, which he did not know he had. 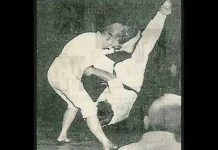 He taught his last aikido class on March 10, 1969 and went to the hospital sometime there after dying on April 26, 1969. He was posthumously awarded the Order of the Sacred Treasure.